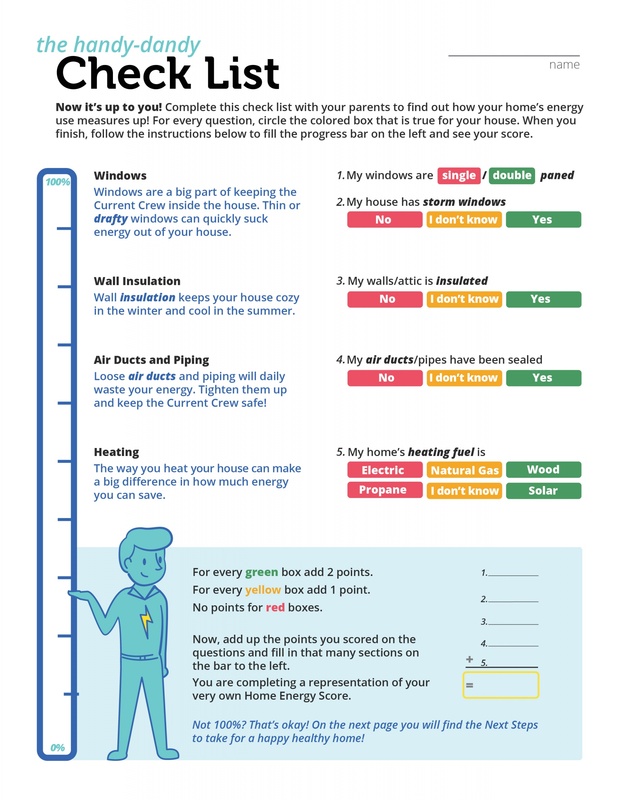 The Current Crew is a four part system: the Current crew narrative, the Check List, the Next Step card, and the lighting bolt badge.This system aims to inform and engage a child about energy conservation and consumption in their home. 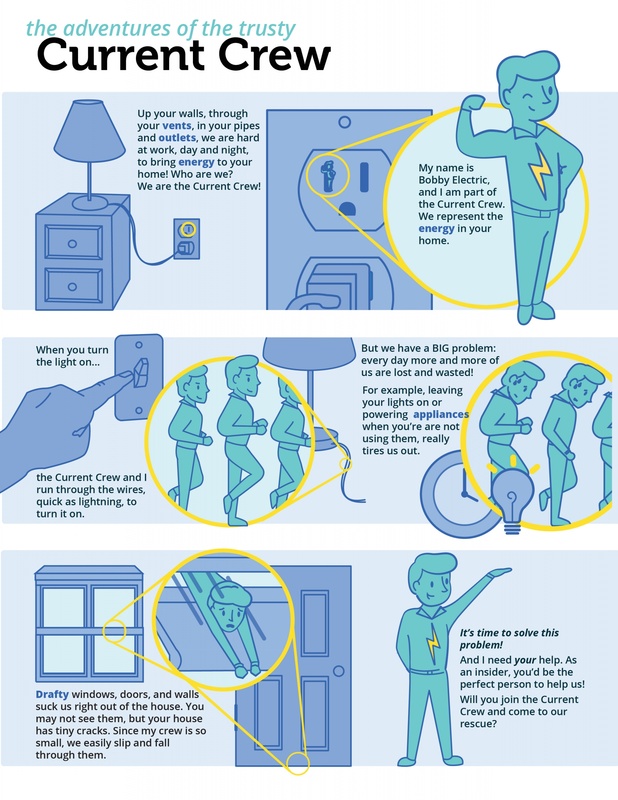 The Current Crew narrative the hook -it introduces the concepts of energy and defines key terms, the Check List informs the child and parent on energy their activity with their child. 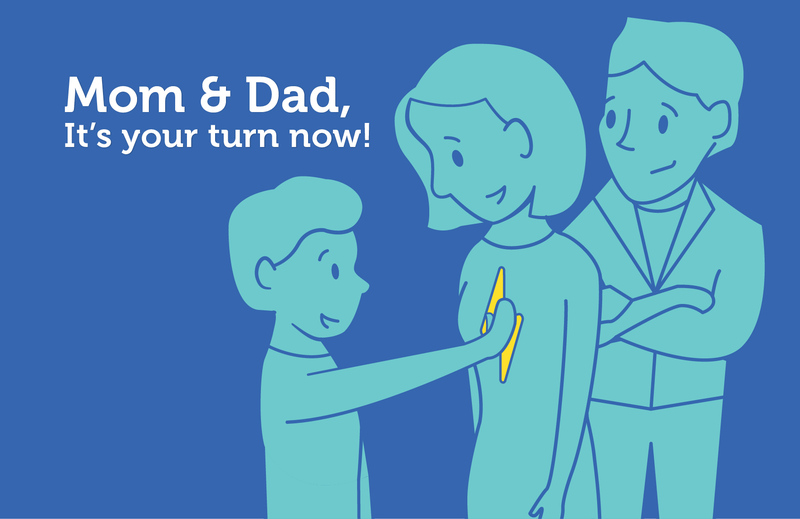 The lightning bolt badge is a tool to empower the child to make a change.